Is your organization ready for the General Data Protection Regulation (GDPR) that goes into effect in May 2018? Optiv Evantix is a SaaS-based solution that helps our clients scale compliance requirements across their vendor ecosystem. 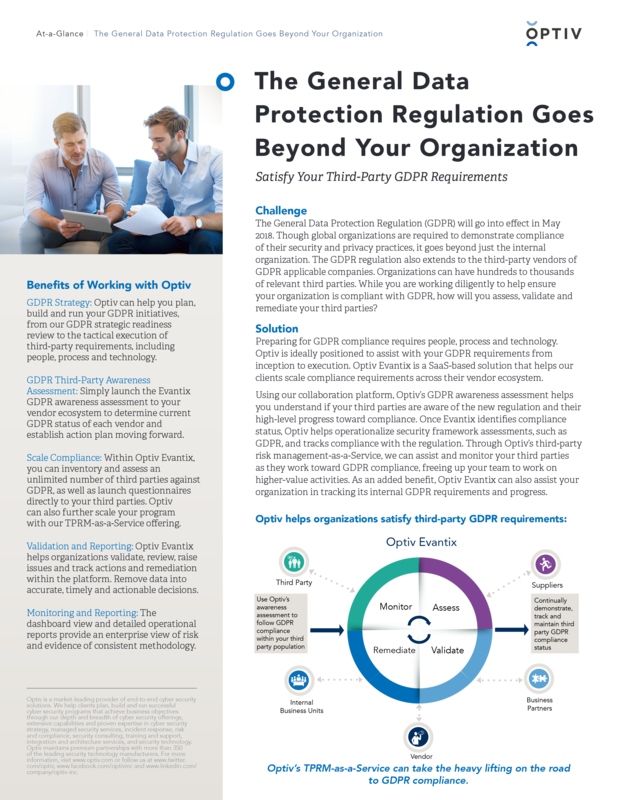 Learn how Optiv’s GDPR third-party risk offering helps you communicate across your vendor ecosystem to monitor your third parties as they work toward compliance. The service also helps you determine compliance requirements, launch assessment activity and track regulation compliance.